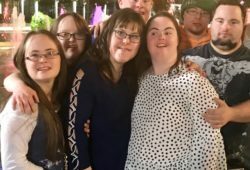 What is the Canadian Down Syndrome Conference? The Canadian Down Syndrome Conference acts as a platform to share current developments and information from experts in their respective fields, as they relate to Down syndrome. Information in the fields of education, aging, health care, research, and advocacy will be shared with members of the community in the form of plenary/keynote speakers, panel discussions, and presentations. The 32nd Canadian Down Syndrome Conference will take place in Victoria, British Columbia, May 10 to 12, 2019. See the planned activities and programs of this year’s Down syndrome conference. Meet the speakers and special guests and learn about the sessions of this year’s conference. Meet our transportation and accommodation partners and get special offers for attending. See the available sponsorship, speaking, volunteer, advertising & vendor opportunities. Who should attend the Down syndrome conference? The conference is best suited for all people with Down syndrome, their families, their friends, and representatives from parallel organizations within the disability community. Other interested groups may include health care professionals and educational professionals. Create an opportunity for people with Down syndrome and their families to come together and develop relationships, learn and share, and connect with others from across the country. 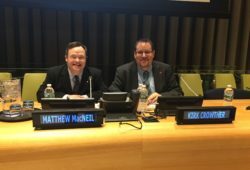 Celebrate the accomplishments Canadians with Down syndrome have achieved this year, contributions they’ve made to their communities, and their role as an integral part of the family. Use this opportunity to work directly with our membership to ensure that the CDSS is Canada’s national voice, representing citizens with Down syndrome, working towards a Canada where all are welcome, we embrace diversity, and we value everyone’s genes equally. We are proud to have celebrated the conference in different cities across Canada. The conference location changes each year, with the hopes of reaching as many Canadians as possible.